Or Hong Kong SAR... Something you will, likely, literally never need to know. SAYING HELLO IN CANTONESE - "LAY - HO"
Lay rhymes with hey. Ho as in what Santa says. Mmm as in mmm that's good. Goy rhymes with boy. Sai rhymes with bye. Whether you're at Victoria Peak, on a rooftop, or by the harbour, watching the sun go down and the city light up is a magical must. MUST EAT - DIM SUM... DUH. Check out Yum Cha for the cutest dim sum in the city. MUST HAVES - OCTOPUS CARD! Like the Korean T-Money card, this transit card can be used for everything from paying for public transportation to buying snacks at convenience stores. Get one as soon as you arrive and charge that baby up! You're gonna need it. Getting lost in Hong Kong is half the fun... but if you're only there for a short amount of time, you'll want to make sure you know how to get around. Update your phone's version of Google Maps and download the MRT app to make navigating a breeze! A night in this spacey (but not spacious) pod cost me just a little bit more than it would have to bunk up in a crowded hostel room. 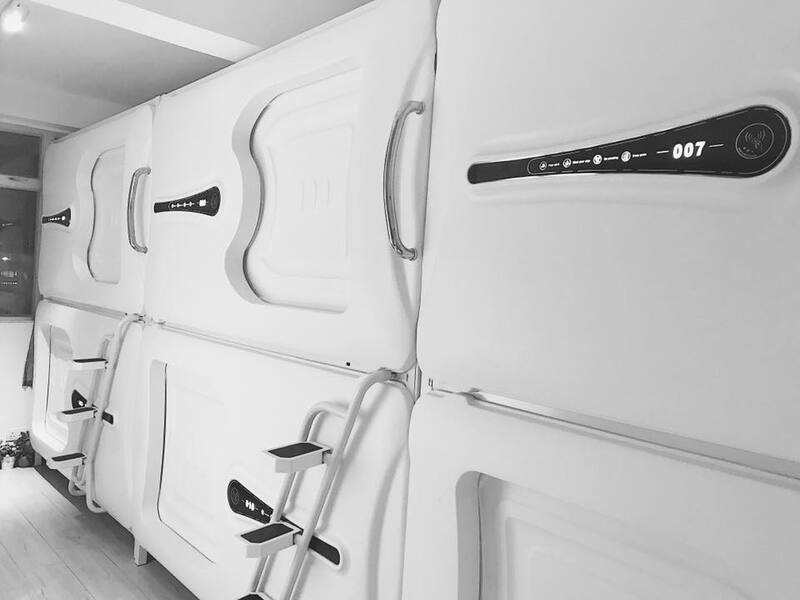 My advice: For more privacy, and a cooler overall experience, skip the hostel bunk and splurge a bit on this futuristic pod hotel, conveniently located in Causeway Bay.